Windows have the great features inside it and many one not explore it, because they don’t know about it. Hidden folder or secret folder is also one of them. Privacy is a very hard stuff today, because every one uses your Laptop , PC’s, or even Smartphone by others. Whether if you’re sharing your computer’s to others it may be very harmful to you sometimes, if you’ve some secret folders and files in it. In this article , I’m sharing a easy ways to hide folders in windows 7, window 8, windows 10 etc. You can use this tricks almost all latest window operating systems. If you’ve a truly sensitive and most confidential data, then simply use this method. 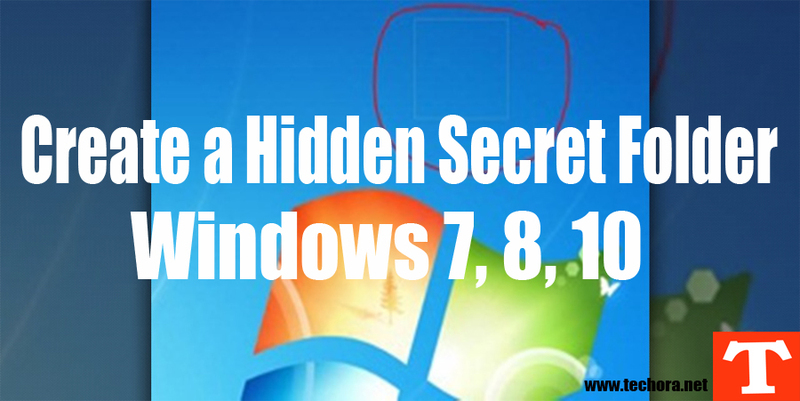 There are many other methods but this is the best methods to create a hide secret folder in windows 7. Step 1 – First of all go to desktop of your PC’s or Laptop. Step 2 – Here simply right click via mouse, and go to the “New” option and select from them “Folder” link and click on it to create a new folder in windows. Step 3 – A new folder create now simply right click on this folder and go to it’s “Properties” to change out the icon of this folder. Step 4 – Here in the properties setting of this folder , go to the “Customize” tab and here see the option “Change Icon” below left corner and click on it to change folder icons. Step 5 – A window will open, here are many icons of folders are available simply find out the hidden folder icons and select one of them and click on “OK” button. Step 7 – Simply right click on this hidden folder and go to it’s “Rename” option. Step 8 – Here simply type this code or command in this rename option, press ALT button and type “0160” and leave “ALT” button and press “Enter“. Now you’ve successfully create a hidden secret folder in which you save you confidential data with full security. No one see this folder. If you’ve any problem then simply watch below video tutorial, hope you’ll understand it. If any question you’ve in your mind, then share your thoughts in the comments section.